Pollination is a mutualism, or an interaction between two species that is mutually beneficial. The mutualism can be either diffuse, among lots of plant species and lots of pollinator species, or between more specific pairs of species. The floral characteristics of many species of plants allow them to attract general classes of pollinators, rather than specific species. 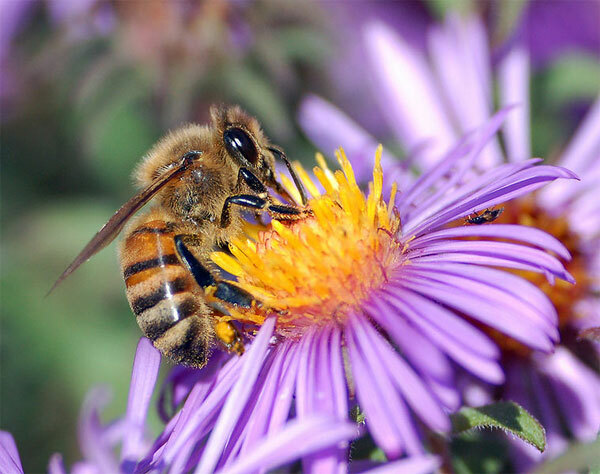 Flower shape, size, color, odor, and amounts of pollen and nectar all vary depending on the pollination syndrome. Most allergy-causing plants are wind pollinated, because for wind pollination to be successful, a huge amount of pollen must be produced by one plant in order for some of it to find its way randomly to another plant’s stigma. These large amounts of pollen in the air sometimes overstimulate our immune system. Flowers that are tiny, numerous, and lack petals (such as willow catkins) are usually wind pollinated. 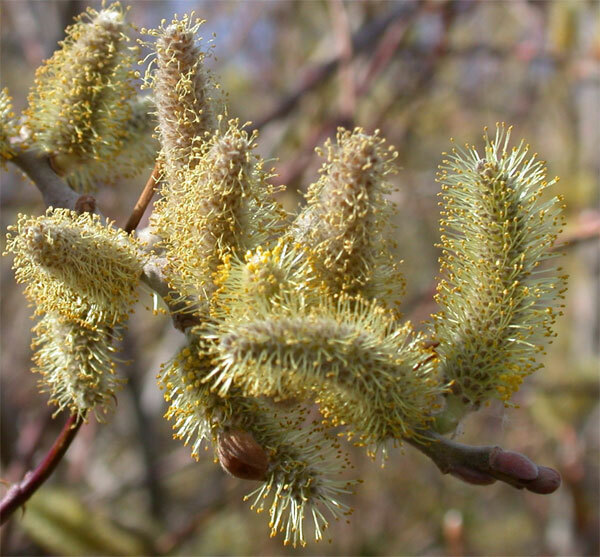 Figure 7.47: Willow catkins, which are typically wind-pollinated. Animal pollination (or directed pollination) is considered to be more recently derived (a more recent evolutionary innovation) because plants that do not have to produce so much pollen to create the same number of offspring will be at an advantage. That is, if the plant can rely on a bee to carry pollen directly to the stigma of another flower, it only needs to produce a small amount of pollen, which takes less energy. The Forest Service has a useful chart here with more detail about general pollination syndromes. In summary, though, round yellow flowers are pollinated by bees, while birds (particularly hummingbirds) pollinate red flowers with long corollas (floral tubes). Butterflies also are attracted to red as well as blue and purple tubular flowers. If the flower is white, smelly, and open at night, it is pollinated by moths or bats (depending on its size). Figure 7.48: Round yellow flowers are often pollinated by bees. This European honey bee collects nectar, while pollen collects on its body. 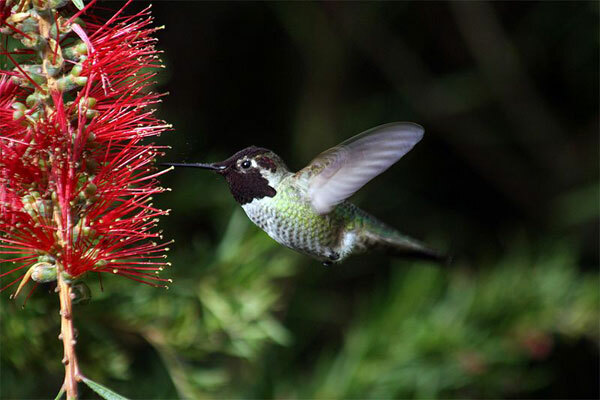 Figure 7.49: Red flowers are often pollinated by hummingbirds. This hummingbird feeds on nectar, while pollen collects on it. 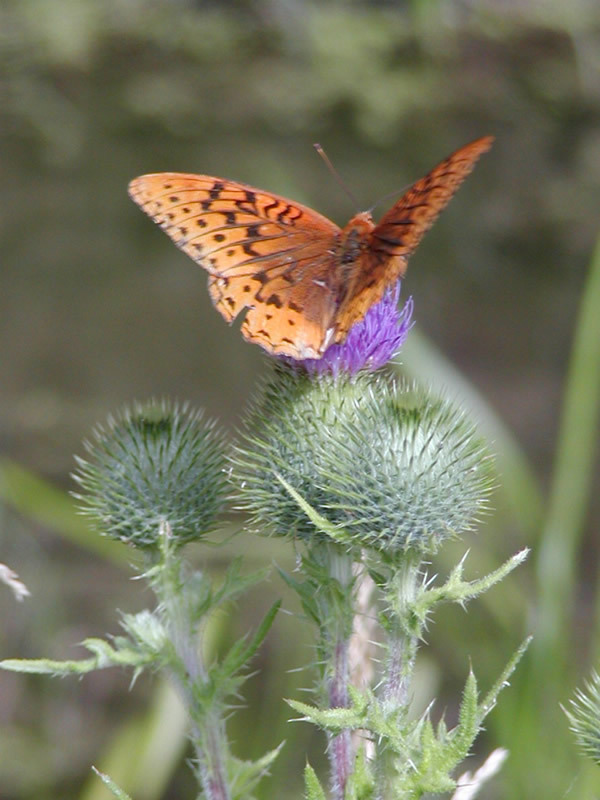 Figure 7.50: Butterflies are often attracted to brightly colored flowers, such as the purple flower on this thistle. Figure 7.51: Bats are often attracted to pungent white flowers that are open at night. 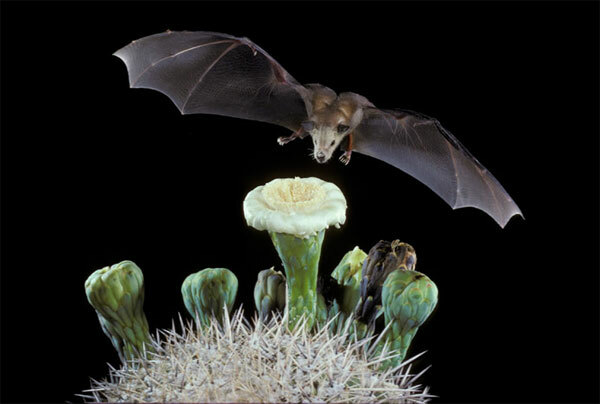 In this image, the lesser long-nosed bat pollinates a saguero cactus in the Sonoran Desert. These preferences are associated with the visual abilities of the pollinator. Figure 7.52: The visible spectrum, as it relates to other wavelengths and frequencies, including ultraviolet and infrared light. Most insects cannot see red, but birds can. Bees (and many other insects) see the best around the yellow part of the spectrum, and cannot see red, but unlike us or other vertebrates, see ultraviolet (UV) light. Plants take advantage of this by having UV patterns on flowers pollinated by bees, often oriented in a way which points toward the part of the flower containing nectar. Butterflies are unique among insects (and most animals in general) in that they can see across the spectrum all the way from the UV end into the red. The important thing to remember, though, is that these are not hard and fast rules, only generalizations. In gardens you will commonly see bees go to red and purple flowers (such as bee balm) and hummingbirds to blue larkspur. But these rules apply fairly well in habitats with native, uncultivated plants.